Jack wandered. He had been wandering aimlessly for days now, with no real set destination. He kicked a pebble as he walked, holding his staff against his shoulder. Most of the time he preferred to walk, rather than to fly. It made him feel more human. More real. It was hard, being a winter spirit. No one believed in you, no one could see you. Most hated winter, because it was cold, which meant that most of the time had to be spent in doors. After what seemed like hours, Jack hadn't realised that he had walked straight past a large castle. He stopped in his tracks, backtracking a bit and gazing up. The castle was a magnificent sight. It was a rare thing to see an old and eclectic castle these days. He looked at the iron gate that seemed to be the only way in or out. Floating up and over, he landed on the ground again, this time on the opposite side of the gate. As he headed for the front doors, he waved his staff, icing a puddle that lay near his feet as he passed. Once he reached the unnecessarily large front doors, he pulled them open, walking inside. A small grin formed on his lips. He didn't know who owned this castle, or what it was for, nor did he really care. But he did know something. Right now, he was going to have a little fun. He waved his staff, small snowflakes falling from above him. To a human, this would have been considered almost as paranormal activity. It wasn't possible for snow to randomly fall from thin air. After a decent amount of snow had fallen around his feet, Jack bent down, scooping some up in his hand, forming a perfectly spherical snow ball. He blew on the snow ball he held out, his icy breath freezing over the entire ball. He pitied the next person to walk in. Whoever was unlucky enough to walk in, was going to get a snowball to the face. Alidia was in a somewhat good mood so she was walking down the halls holding her books and a black rose, singing her favorite song. But she was thinking of magically dyeing her hair. Maybe a black with blue streak? With that she made her hair changed. She looked at the mirror before continuing walking, "Oh my its prefect." And she continued walking and singing. Hearing someone approaching the hall, Jack jumped up, crouching down on top of his staff. He held his arm up, preparing to aim at the unlucky person. As soon as the girl appeared, Jack launched the snow ball at her, just missing her face. The snow ball collided with her shoulder, the snow and ice shattering before falling to the floor. The girl looked a little shocked, which made Jack grin. He knew she wouldn't be able to see him, which made the whole thing even more hilarious. Alidia felt pain in her shoulder. "Ow, dammit." Alidia said as she snapped her finger and made her black rose appear and sang her healing song. After she sang, she wanted to investigate to see who made that snowball. Normally she would be angry but she chuckled. "Okay, you wanna play," Alidia said at nobody in partial, "I'm ready with your worst." Jack snickered to himself, waiting for a reaction. He almost rolled his eyes when the girl began singing again. He jumped off of his staff, grabbing it, he circled the girl. He paused, standing a few metres behind her once she stopped singing. A low chuckle escaped him and he raised his eyebrows at her challenge. She was challenging Jack Frost. The spirit of winter and fun himself? Ha! Jack gathered up more snow, from the pile he had created before, and formed another perfectly spherical ball. He blew on it again, freezing it over before throwing it towards her, the ball hitting her on the back of her head. Jack even flinched. Now that had to hurt. The snow ball broke, the snow falling, getting tangled in her hair and resting on her shoulders. Jack laughed. This was gonna be fun. Sure, it would be a one-sided fight, considering she couldn't see him, but it would still be fun nonetheless. Alidia playfully growled as she rubbed the back of her head. "Okay, tough one." she said as she grasped her charms "You messed with the wrong girl." Alidia laughed as she began chanting and glowed. She made the hallway a winter wonderland since she loved winter and that way she could see the footprints of the tough person show themselves. "I hope youre ready," Alidia whistled for her broom and when it came she jumped on it with a basket of snowballs. "Cause I am." Suddenly, the room shifted. Jack's eyebrows raised in surprise. The girl had somehow managed to shift their surroundings so that they were now in a winter wonderland. He noticed that she was looking for footprints, realising that he was now standing in the snow. He quickly flew up, floating to the opposite side so she wouldn't be able to catch him. He waved his staff, snowflakes falling, before he snatched a snowball from Alidia's basket. It wasn't as good as the ones he made, but it would do. He flew in front of her, throwing it so it crashed into her face. He cracked up laughing, floating up a little higher. Alidia growled as she wiped the snow off her face. Then she had another idea. This person likes snow, Alidia started to think, And they are invisible. I wonder....Jack Frost!? Maybe.....just maybe if I just believe in him.....he'll appear. Alidia began to whispered, "I believe.....I believe in you, Jack Frost." Alidia smirked. Jack was busy forming another snowball, when he heard the girl say his name. His jaw dropped, his eyes widened. Did she--?! He almost dropped his snowball, which he was now holding up. He had prepared to throw it at her, before he appeared in front of her. "Ah, crap" he threw the snowball to the ground. He then looked at the girl, warily. "C-Can you... see me?" She could actually see him. And he was handsome. She gasped as she jumped off her broom on the snow. "I....I can see you....." Alidia said as she giggled. And she thought to herself he has the most wonderful eyes. "Youre.....Youre..." Alidia was speechless. The stories and legends were true. She was actually talking to Jack Frost. Jack Frost was astounded to say the least. His first believer. His mouth was still agape and he continued to stare before a wide smile crept across his lips. "I can't believe... you see me" he almost whispered. Excitement seemed to fill his body. He jumped up and down, raising his staff and whooping. The girl seemed almost as shocked as he was. "How did you- I mean, how do you even know who I am?" he asked. Alidia was still a bit speechless. She cleared her throat to get her vocals pumping again. "I....I always believed in you since I was a young girl. And now, when I was walking down these hallways a little of my inner-child jumped inside of me. Even when you threw the snowballs at me," Alidia said then she paused,"wait, you threw them," she giggled "You have wicked aiming. And I know you because of the leagues. But I didnt know if you believed hard enough you'll become visible." Alidia still couldn't believe it, she was talking to the Jack Frost and something in her heart started to make it pump like crazy. Jack couldn't even hear what the girl was saying. He was too excited, too awestruck by the fact that she could actually see him. "Yeah, I threw them" he chuckled. "I know!" he grinned before nodding. "Most children don't believe in Jack Frost," he shrugged his shoulders, "that's why you couldn't see me earlier" he said. Alidia put a strain of hair behind her ear. "My family told me and my sister stories about you. That was the highlight of my life until that day...." Alidia shook her head to clear that memory. "Never mind that," Alidia nervously chuckled, "I'm Alidia by the way. Alidia Hendly. Or you can call me Ali, if you wanna." He's so handsome and his hair. Wow. My legs are feeling jelly-like Alidia thought as she chuckled. Jack raised an eyebrow. Something seemed to be troubling the girl. But he didn't want to get into detail. He pushed the thought away. "Pleasure to meet you, Ali" he smiled at her. He waved his staff around, continuing to make it snow. "Hey, you don't reckon you could change the room back, do you? It's nice, but I wanted to explore the castle a bit more" he chuckled. Alidia, whats the matter with you? Focus. Alidia acted like nothing happened. She smiled when he continued making it snowing. She loved snow. Alidia curtseyed , "Nice to meet you too. And sure." Alidia grabbed her charms and made the hallway back to normal. As soon as the hall way shifted to normal, Jack made the snow stop. He glanced around, "so, where am I exactly?" he asked curiously. He had thought the castle looked interesting, and decided to explore, unaware of what it actually was. "Is this where a King and Queen live or something? Are you a princess?" he asked. He only thought this because of the castle. The girl wasn't dressed like a princess and her hair style and choice of style suggested otherwise. "Well, this," Alidia started to say as she turned around, "is Blanditia Academy; School for the Supernatural." Alidia chuckled when Jack called her a princess, nobody but her dear Oncie gave her a pet-name. "I dont know that much about this place but my adoptive mom, Athena, the Headmistress and my adoptive sister, Ariel, who is like a princess, run this place. I'm like the second daughter they look after but lately I've been left out but thats okay. I prefer being me not a princess. 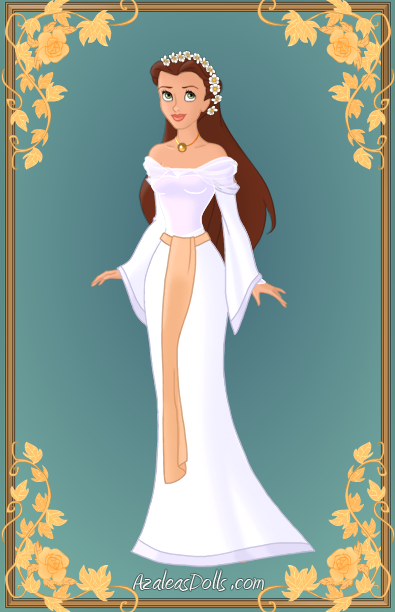 I mean look," Alidia made her outfit change. "I am not that pretty in a dress." "School for the supernatural, huh?" Odd. He didn't know there were such a thing. He knew of the supernatural creatures, he'd even met a few over the years. But a school dedicated to them? That was strange. "Left out?" he raised an eyebrow. No one deserved to be left out. He could understand that feeling, and he didn't like it at all. Once she made her outfit change, he nodded slightly. "Why do you say that? You look nice" he complimented her. He did it in a friendly way, of course. Alidia nodded. "Yea, this school is for people like us." Alidia played with her hair as she nervously was going to reply but first she made her dress disappear and her other clothes appear. "Cause Jack. Ariel, my adoptive sister and Athena, my adoptive mom who are vampires, but dont worry they dont drink human blood," Alidia paused to make sure she got her words right, "They...just dont see me pre se like I am invisible. Ariel has Jim, her soulmate and mom, shes just busy all the time. And theres me, the adoptive daughter that tries making things right but it ends up being a disaster," Alidia had leaned againist a wall but then she slowly slumped down and started to cry. "I know a song that matches me. I'll sing it." Jack's brow furrowed as the girl began to cry. That was not what he wanted at all. Crying wasn't fun. "Hey, it's fine. Don't worry about it--" he mumbled. "Y'know, I'm invisible all the time. At least people can see you" he smiled, trying to make her feel better. He crossed his arms, leaning against the nearest wall. "You're too hard on yourself. Don't you think?" he asked, arching an eyebrow. Alidia looked at Jack as she wiped her tears, "Really?" She never thought of it. "Yeah," he shrugged. "I think you're overreacting a little" he smirked at the girl. "Maybe it'd be better to go talk to your... adoptive family, or whatever, rather than getting upset" he replied. He didn't mean to sound insensitive, that was just what he believed. There was no use crying about something when you don't know the actual facts. Alidia wiped more tears off her. "I wish it was that simple but like I said, Jack, Ariel is busy with Jim and mom is busy trying to keep this place safe." Alidia wished it could be simple but it wasnt. It seemed like her whole world was falling apart and of course, Once-ler wasnt with her. She missed him and it seemed like her love life was in the dumps too. She began humming a song. Jack sighed, eventually just shrugging his shoulders at the girl. He was the spirit of fun. He wasn't very good at comforting others. "Well... I'm sorry to hear about all of that" he said, glancing at her hesitantly. He glanced at her as she began singing again and sat down near her. He waved his staff, making it snow a little more, hoping to cheer her up somehow. He didn't want to part if she was going to be upset.